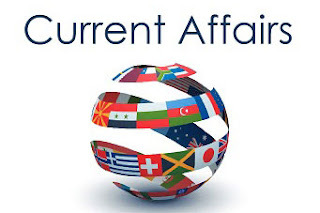 Daily Current Affairs (July 11, 2018) like many other sections is inevitable and this also helps to score in the Banking awareness , Static GK and Financial Awareness sections. Remember, Banking Awareness and Static Awareness Questions are asked from the General Awareness section. This will also help you to ride your preparations for the forthcoming exams. The blueprint is in line with the implementation of the Centre’s flagship scheme Ayushman Bharat and other public healthcare programmes in the country. According to a consultation paper titled ‘National Health Stack Strategy an Approach’, the National Health Stack will facilitate collection of comprehensive healthcare data across the country. The government’s flagship scheme Ayushman Bharat aims to provide a coverage of INR 5 Lakh per family annually and benefit more than 10 crore poor families. 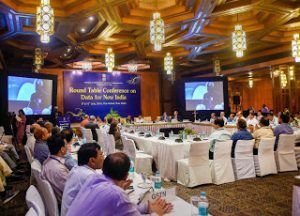 The objective of the 2-day Conference is to identify innovative ideas for improving the statistical system in India. ( discussing the best practices followed in advanced countries like Canada, UK and Australia). The Conference is organized in India for the first time. The Conference is inaugurated by D.V. Sadananda Gowda, Union Minister of Statistics & Programme Implementation. The Double Stacked Container, which is 6 ft 4 inches in height and can run on electrified tracks, can hold a capacity of 30,500 kgs. These containers in double stack formation can run under 25kV overhead lines. Indian Railways has received increased revenue of Rs 18.50 lakhs due to this Double Stacked Dwarf Container service. 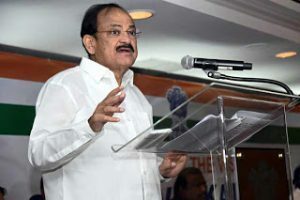 Venkaiah Naidu has become the first Chairman of Rajya Sabha to sign such an agreement when he inked an MOU with the visiting President of the Senate of the Republic of Rwanda, Bernard Makuza. Shri Naidu and Mr. Makuza discussed issues of bilateral interest and the opportunities for cooperation for mutual benefit. As reported, the initiative was taken for the enhancement of digital learning and capacity building of college students in the state. It was announced by Higher Education Minister Kiran Maheshwari. It will also train educators from government colleges through the Microsoft Innovative Educator Programme, building capacity for innovative use of information and communications technology (ICT) in the classroom. 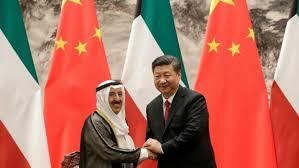 The Chinese President Xi Jinping has pledged a package of US$20 billion in loans, and about $106 million in financial aid, to Middle East nations. It is given as part of “oil and gas-plus” model to spur economic growth in the region. China is also prepared to provide another one billion yuan to countries in the region to “build capacity for stability maintenance. 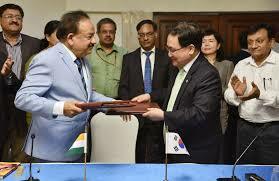 The Science and Technology Minister Dr Harsh Vardhan and his South Korean counterpart You Young Min signed three MoUs which are Programme of Cooperation 2018-21, Establishment of Future Strategy Group and Cooperation in Bio-technology and Bio-economy. Two other MoUs were signed between Council of Scientific and Industrial Research and South Korean National Research Council for Science and Technology and IIT Mumbai and Korea Institute of Science and Technology, to further accelerate future-oriented cooperation. 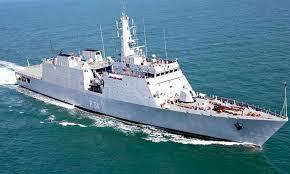 The Indian Navy patrol vessel, INS Sumitra, became the first-ever warship to sail into the Indonesian port of Sabang, strategically poised at the mouth of the Malacca Strait. During Prime Minister Narendra Modi’s visit to Jakarta this year, in a meeting with Indonesian President Joko Widodo, it was decided that New Delhi will develop the strategically important Indonesian port Sabang in the Indian Ocean, close to the Andamans. It aims to offer Indian students a completely online payment solution through its ‘Money2World’ (M2W) platform for outward remittances. 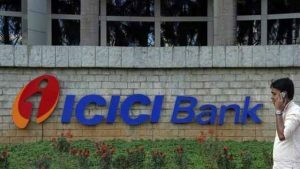 As a first, ICICI Bank and Westpac have partnered with La Trobe University, one of the well-known universities in Australia, for this initiative. ‘Money2World’, is a first-of-its-kind fully online outward remittance service for resident Indians by any bank in India. 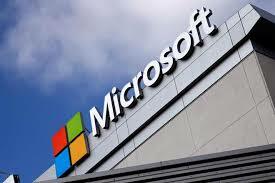 It is available to users 24×7 on all days. According to World Bank figures for 2017, India’s gross domestic product (GDP) amounted to $2.597 trillion at the end of last year, against $2.582 trillion for France. According to the report, manufacturing and consumer spending were the main drivers of the Indian economy. 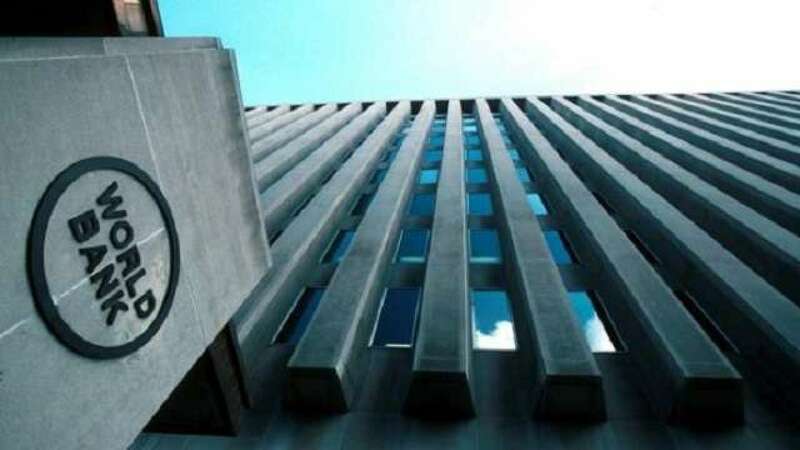 According to the International Monetary Fund, India is projected to generate growth of 7.4 per cent this year and 7.8 per cent in 2019. 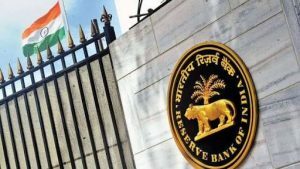 On liquidation, every depositor is entitled to repayment of his/her deposits up to a monetary ceiling of Rs 1,00,000 from the Deposit Insurance and Credit Guarantee Corporation (DICGC) as per usual terms and conditions. The feat comprised 3 silver medals and a bronze. India also finished joint third with Iran in the championship. Korea topped the tally with 14 medals, 8 of them being gold. 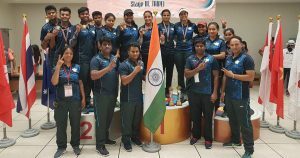 Divya Dhayal became the only individual medal winner for the country when she clinched the silver medal in the womens compound category. The World Population Day is celebrated worldwide to spread awareness and discuss issues related to population growth. 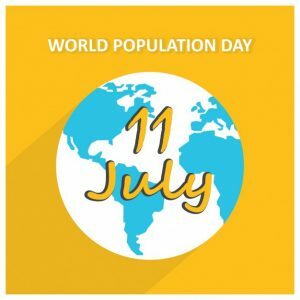 The United Nations recognises World Population day as an important event to spread information of population-related issues across the globe. The post DAILY CURRENT AFFAIRS: JULY 11, 2018 appeared first on .